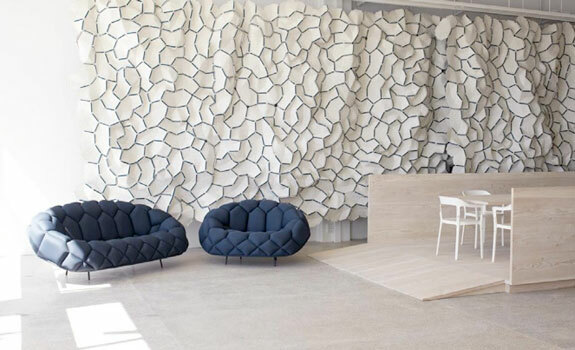 Clouds is a system of two-dimensional ‘patches’ that combine to create spatial formations in any size, depending on the user’s needs and imagination. 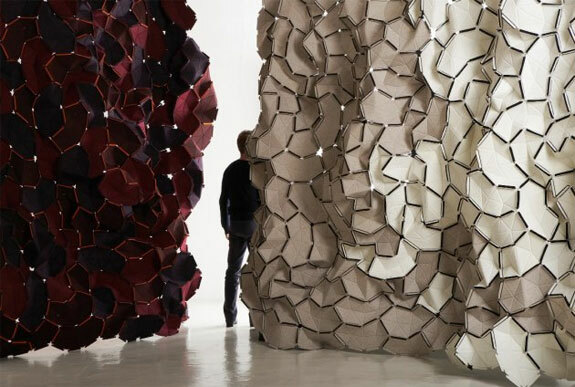 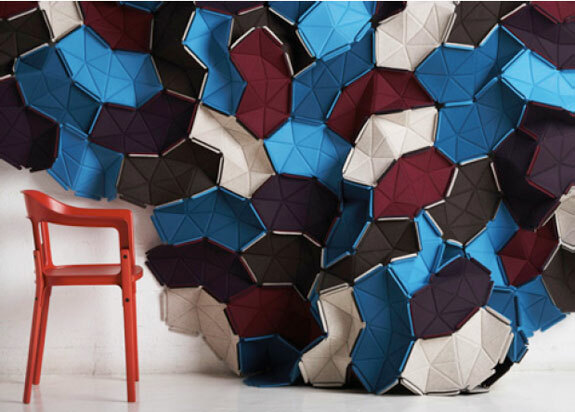 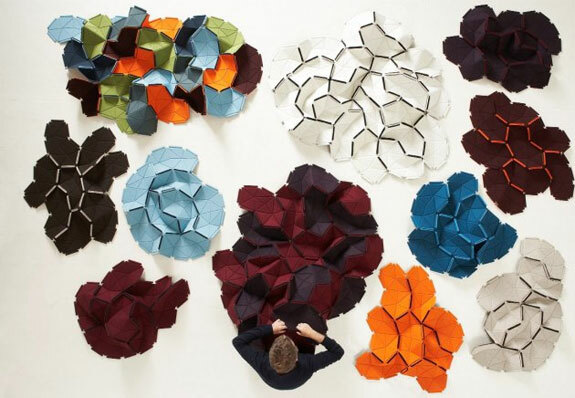 The formations can be used as room-dividers with sound-absorbing properties, or they may function as free visual elements to complete, decorate or challenge architecture and rooms. 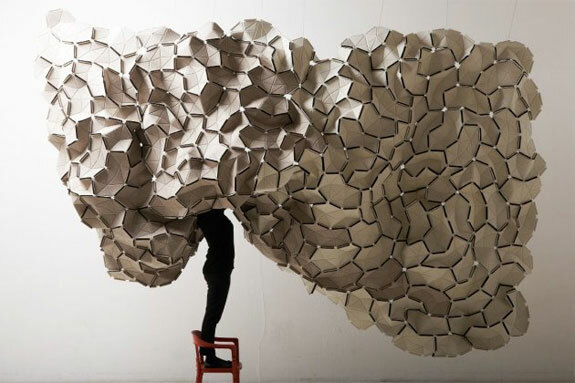 Click here to view a fun video about Clouds.